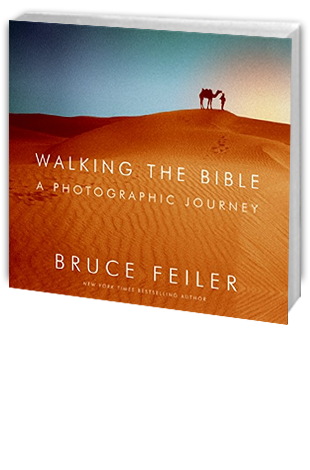 In 2004, Bruce Feiler-accompanied by a documentary film crew-reprised the 10,000-mile quest through the deserts of the Middle East that led to his breakthrough bestseller Walking the Bible. Filled with dozens of the finest contemporary photographs, including many taken by the author, this all-new keepsake illustrated book offers an unprecedented, visual journey through the actual places of some of history’s most famous events, from Mt. Ararat, where Noah’s ark landed, to the Red Sea, to Mt. Sinai. Combining breathtaking images, sweeping landscapes, intimate snapshots, and fascinating portraits-with his famously lively prose, Feiler provides a first-hand panorama of the inscrutable desert landscape where the world’s great religions were born-and finally puts a visual face on the stories that continue to inspire the human spirit.